If you’re a petrolhead, it could be that you’ve protected your car with some sensitive wax or other sealants. 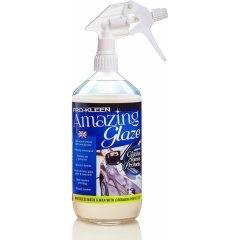 If you want to ensure your paintwork has maximum protection, pH neutral snow foam is the best pre-wash for you. 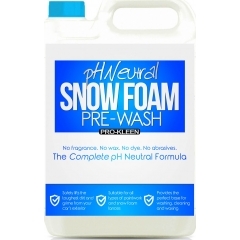 Our pH Neutral Snow Foam is gentle on your car paintwork but tough on dirt, offering incredible cleaning power in a pH balanced formula. 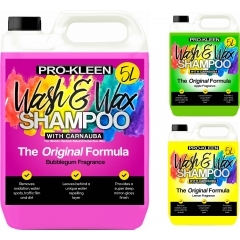 When combined with our pH Neutral Wash & Wax Shampoo, Pro-Kleen’s pH Neutral Snow Foam gives you a spotless car without any risk of damaging sensitive paintwork. If you have an old or classic car, our pH neutral range is the best way to keep it clean, shiny, and protected from scratches. 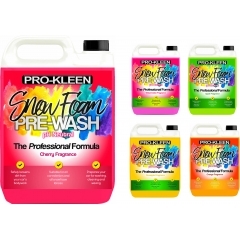 Pro-Kleen snow foams are well known for their thickness! Thick snow foam means it clings to your car’s paintwork better, increasing the contact time between the foam and the dirt on your car. 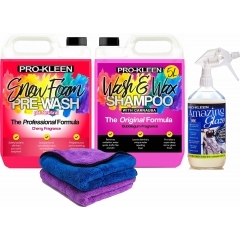 Despite lacking any alkaline detergents which can stop other pH neutral snow foams from foaming up, Pro-Kleen pH Neutral Snow Foams give you a satisfyingly thick foam with every spray. 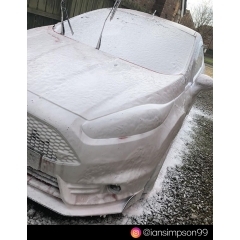 Applying snow foam to your car is always satisfying, but fragranced snow foams are even more fun to spray! 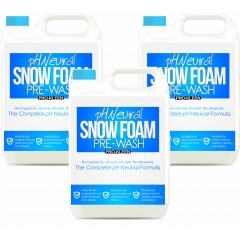 Choose your favourite fragrance from our range of pH neutral snow foams, available in apple, cherry, melon, and orange. 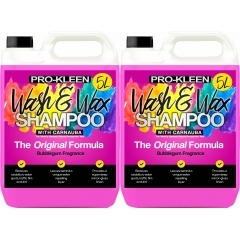 Follow it up with a pH Neutral Wash & Wax Shampoo, available in apple, bubblegum, and lemon fragrances for a car that smells as great as it looks! 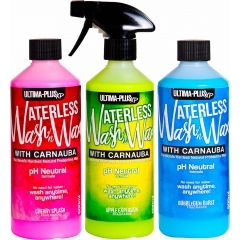 Add an extra layer of protection to your car’s paintwork with Amazing Glaze Waterless Wash & Wax. 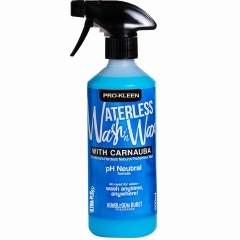 It’s a specially-designed pH neutral formula with added carnauba wax that cleans, shines, and protects all kinds of car paint. 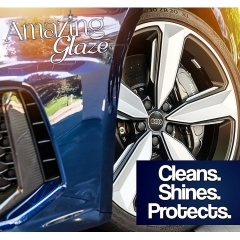 It includes water-repelling sealants and protects your paintwork against salt, grit, scratches, tar spots, and more with a glossy mirror shine!